The Young and the Restless' Melissa Ordway's "First Baby Girl" Celebrates Her Birthday! Melissa Ordway who plays Abby Newman on 'The Young and the Restless' is nothing short of a great mother. A sweet wife to Justin Gaston, Ordway shares two children with him; Olivia and Sophie their newest addition born in December 2018. And, one of her babies is celebrating their birthday, it's her first baby girl. Today, however, we make reference to one of her fur babies, Lily. Anyone who has been following her over the years would know just how much she loves Lily and Teddy, her fur babies. 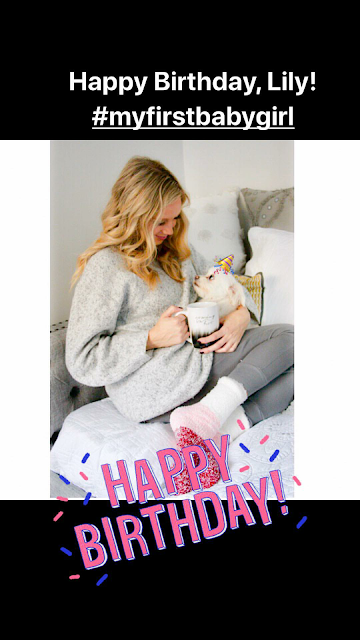 Ordway took to Instagram to share a sweet shot of her and Lily as she wished her a happy birthday - check out the post and other below! Soap Opera News: The Young and the Restless' Melissa Ordway's "First Baby Girl" Celebrates Her Birthday!